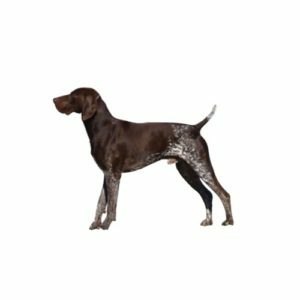 The German Shorthaired Pointer thrives as part of an active family. He is an even-tempered, intelligent and loyal family watchdog that has enthusiasm for its work. An athlete, he can adapt to his living situation, but requires consistent exercise. The GSP?۪s short coat sheds, but grooming is minimal.